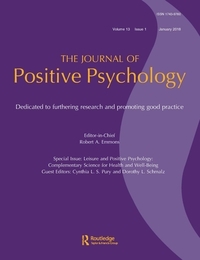 An article written by Prof. Gordon J. Walker (Distinguished University Professor, Wakayama University / Professor, University of Alberta) and Dr. Shintaro Kono (CTR Visiting Fellow / Southern Illinois University *current) was published in an academic journal, Journal of Positive Psychology. We investigated whether satisfaction of employees’ basic psychological needs for autonomy, competence, and/or relatedness during leisure positively impacted their leisure domain satisfaction (LSAT) and, in turn, whether LSAT positively influenced their global life satisfaction (GLS). To better understand the above, we simultaneously examined these same relationships in the paid work domain. Useable data were collected from 395 adults employed at least 20 h per week. Structural equation modeling indicated that satisfaction of all three needs positively affected LSAT; with autonomy having the greatest effect. In comparison, although autonomy and relatedness need satisfaction positively affected work domain satisfaction (WSAT), competence’s effect was not significant. LSAT and WSAT positively, and age negatively, affected GLS; collectively explaining 48.6% of the total variance. Our findings largely support basic psychological needs theory in both the leisure and work domains and, furthermore, suggest these two contexts are equally effectual in regard to GLS.